This is a Giclée Poster. Available in four sizes: 18 x 24 in., 20 x 30 in., 24 x 36 in., 30 x 40 inches. 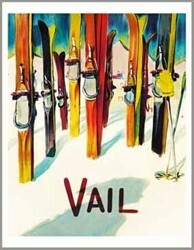 Vail Vintage Skis Poster. 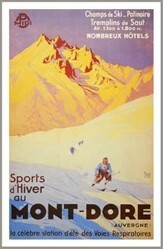 This poster uses the artwork of the vintage Valais Poster also known as the Valais ‘le pays du soleil’ Poster. This is possible because the artist is Unknown and the poster is quite old so the copyright laws are expired. 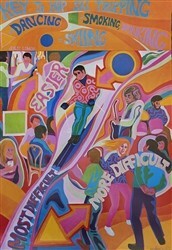 When the skiers from Vail began to ask us to reproduce this for them, it seemed like a nice match. 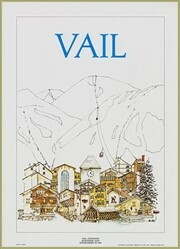 Vail can also be known as ‘le pays du soleil’, or ‘the land of sunshine’.